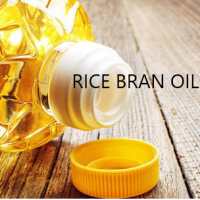 Browse rice-bran-oil suppliers by country and region. With our established extraction industry Godavari Edible Oils Ltd, we produce and serve the domestic and international markets for over two decades. we offer bulk and retail packing also. 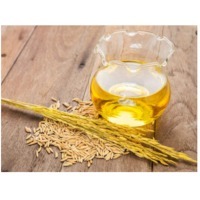 We are one of the leading Suppliers of the Crude Rice Bran Oil, which is extracted from the germ and inner husk of high-grade rice, under the supervision of experienced professionals who hold rich & vast knowledge in this area. CRBO is healthier, have a longer shelf life and a good source of nutrition, it has much lower linolenic acid which makes it more stable, while oxidation. we offer customized packaging at most affordable prices as per customer requirement under the most hygienic conditions. Short on time? Let rice-bran-oil sellers contact you. Cooking oil like rice bran oil, RBD palm olein, basmati 1121 golden sella rice, basmati 1121 sella rice, basmati 1121 sella rice, basmati parboiled rice, basmati rice, pusa basmati brown rice, pusa basmati golden sella rice, pusa basmati golden sella rice, pusa basmati raw rice, sona masoori brown rice, sona masoori brown rice, sona masoori parboiled rice, sona masoori steamed rice, IR64 parboiled rice, long grain parboiled rice. Sugar Icumsa 45, sugar pharma grade, sugar beverage grade, rice bran oil, crude rice bran oil. Rice bran ,oil crude rice bran oil. Rice bran oil, deoiled rice bran. Rice bran oil, defiled rice bran. Non basmati parboiled rice & raw rice, physically refined rice bran oil, crude rice bran oil, de-oiled rice bran extraction, poultry feeds. Crude oil, parboiled long grain sortex rice, de oiled sesame cake, sesame oil, sesame seeds and de oiled rice bran. Sesame seeds, sesame oil, refined rice bran oil, jute bags, cotton bags, bakers mitt gloves, shopping bags, dry flowers. Bhavesh Secure Technologies Pvt. Ltd.
Rice bran, de-oiled rice bran, DORB, rice bran oils, crude oils, sesame oil, mustard oils, mobile phone chargers, rice products, chillies, dals, malt extraction, cooking oil, used cooking oils, refinary oils, onions, milk powders, mobile phone accessories.